Mini F1 Corgidoodle pups from our bright, beautiful and endearing Pembroke Gorgi dam and a 14", 11 lb lovely black phantom miniature Poodle sire. 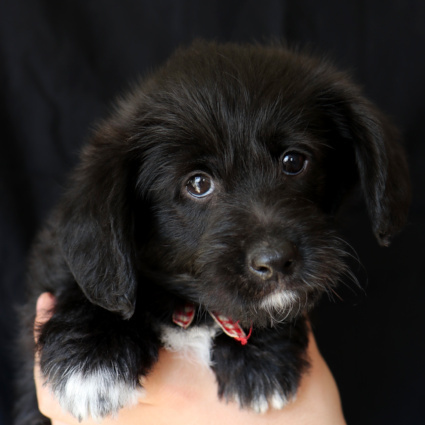 Dory puts her 4 remaining Corgidoodles up for adoption! I am so enjoying these Corgidoodles! They are so much fun and comical. I wish folks could experience what I do in seeing this cross-breed for what it is, but perhaps I am ahead of my time on this blend. 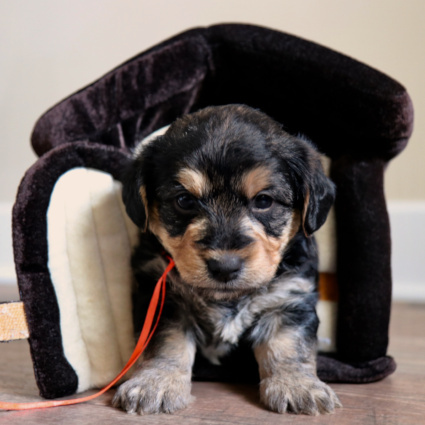 We've decided to decrease our price to $2000 each for these pups. Dory has already weaned them naturally and she gets regular breaks from them. The pups are doing well, learning and playing with each other and learning from their mama. They're not hard to have around, so I donâ€™t mind waiting for the right matches for these pups! Please contact me if you're interested in one of these jovial pups!! 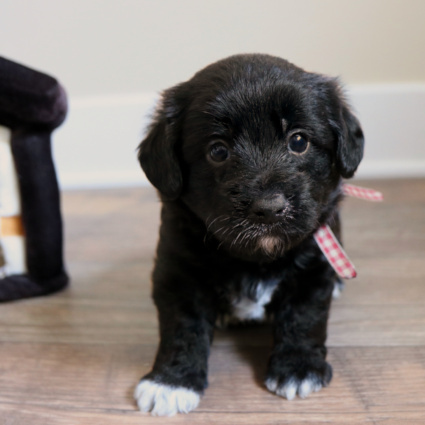 The adventure of our first Corgidoodle litter has been a delight! It's always interesting to see the differences of how one litter can be from another. 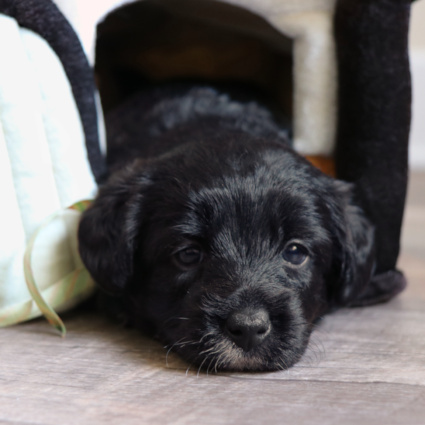 There have not been a lot of differences yet from what we normally see in temperament, as it is early in their development, but they have a different body frame with their short legs. It's not often we get pups this small either. 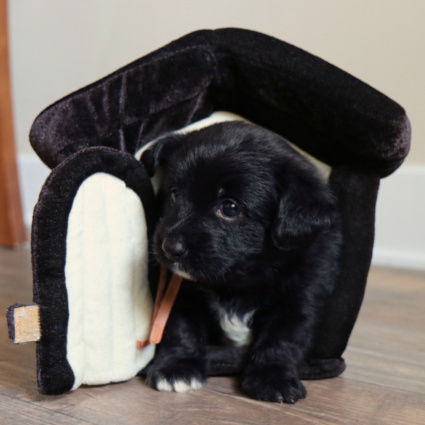 I've had this plush dog house for years (used in the photos) but have not had pups small enough to fit into it at 4 weeks for photos, until these guys came along! The pups are bright and started to wander out of their whelping box at 3 weeks. 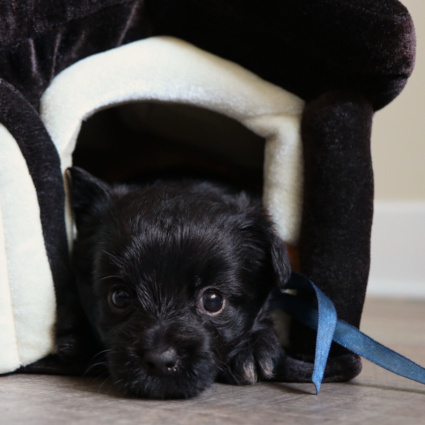 They're well on their way to toiletting outside of their whelping box and soon enough they'll be going through a doggy door to go outside! 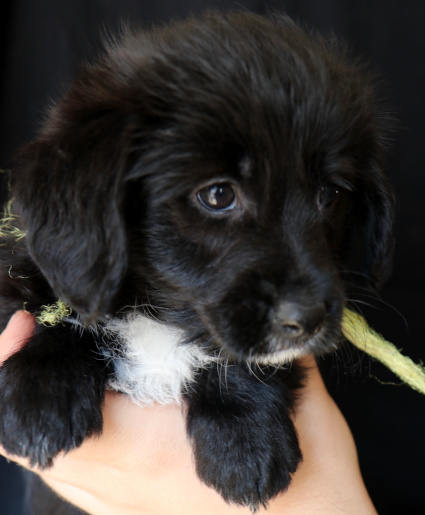 The pups are starting to eat softened kibble and now come when called! 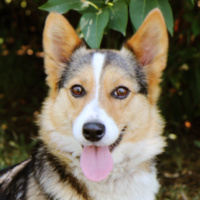 They're certainly a social and fun bunch -- personalities are blooming and they're already quite comical, which Corgis are notorious for. 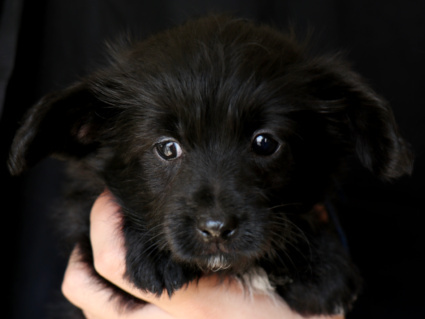 Choosing for these pups will likely be on the last week of August to the beginning of September. They'll be able to go home on or after September 6. I do have availability in this litter. Contact me if you're interested. 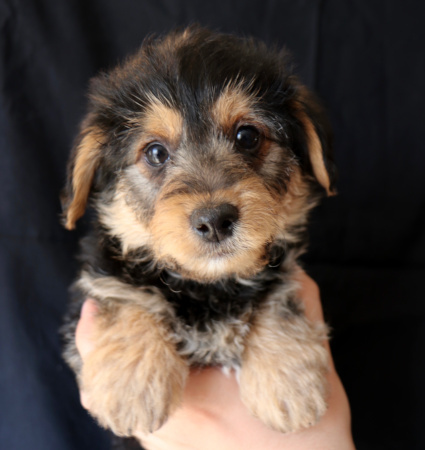 Hearty K9s is very proud to announce our first litter of Corgidoodles (Pembroke Corgi X Poodle) puppies! 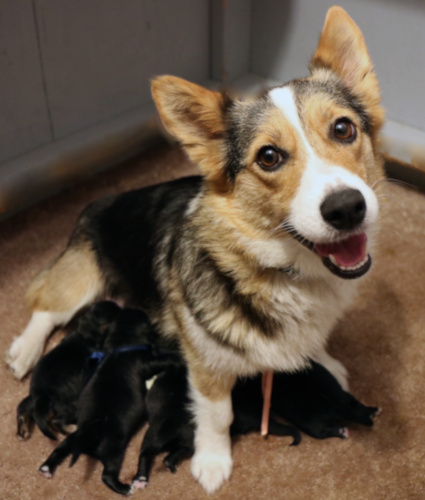 Dory is a natural mama and is very nurturing to her pups now, but I do think she'll enjoy them even more when they're ready to play! Lol. Corgis have a playful, goofy nature. We're so excited to see these little ones grow! There are 3 boys and 2 girls. 4 are black with large white chests and many have white toes. One is a tri coloured male. This summer, my two youngest children are working at a nearby Bible Camp. They have one day off a week to 'rest', do laundry, eat, sleep and go off to the next camp. They bring home friends (other staff) that have too far to go back home between camps (from Calgary, BC and Scotland) and we've had a lot of fun hosting them when they come. They thought it very appropriate to name the pups after themselves... but I suggested middle names. 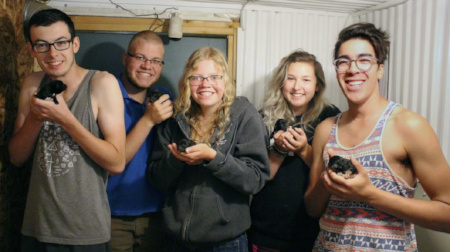 The boys are Cornelius, Nels and Stephen and the girls are Anne, and Joy. I expect these pups to range in weight mostly between the 15-20 lb mark, but could range from 12-25 lbs. 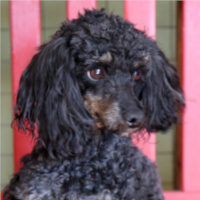 Their short legs and longer body is a dominant gene and is perfect for those who have height restrictions for a k9! They should stay under 14", more like a medium-size dog on short legs. These pups will be ready to go home after September 6. I have availability in this litter! Please contact me if you're interested in one of these pups and send in your application! 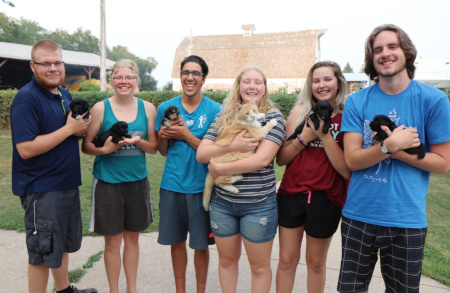 A happy bunch of campers getting puppy time with their namesakes!